Head to head: Who has the edge in the Eastern Final? Head to head: Who has the edge in the Eastern Final? Home / American Football / Head to head: Who has the edge in the Eastern Final? Head to head: Who has the edge in the Eastern Final? TORONTO — Despite a series sweep in the regular season, there’s very little separating the Ottawa REDBLACKS and Hamilton Tiger-Cats heading into their Eastern Final clash on Nov. 18. 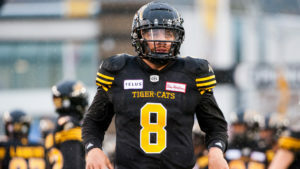 The Ticats are characterized by their offence, which led the CFL with 405.6 yards per game on the strength of first-time starter Jeremiah Masoli. 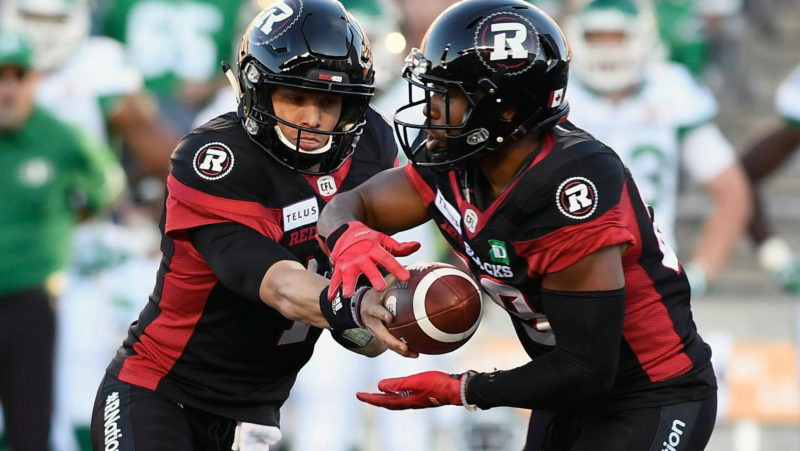 However, the REDBLACKS aren’t far behind, averaging 387.1 points per game with a significant bump in production over the final third of the season. Though they’ll never play at the same time, Masoli and REDBLACKS pivot Trevor Harris make up the marquee matchup in this one after going head to head for Most Outstanding Player in the East. Masoli ended up winning the nomination, but Harris got the better of the two in head-to-head play this season, winning all three matchups while throwing zero interceptions on 97 attempts. Some wondered whether Jeremiah Masoli could overcome a decimated receiving corps, but the Ticats’ pivot answered his critics on Sunday in a 48-8 blowout win over the Lions, doing it without team leading receiver Brandon Banks. On the other side, Trevor Harris is playing some of his best football as well, completing around 76 per cent of his passes over his previous six contests. The East Division’s MOP gets the slightest possible edge. William Powell had his second straight 1,000-yard season in 2018, rushing for a career-high 1,362 yards and six touchdowns in his third CFL season. 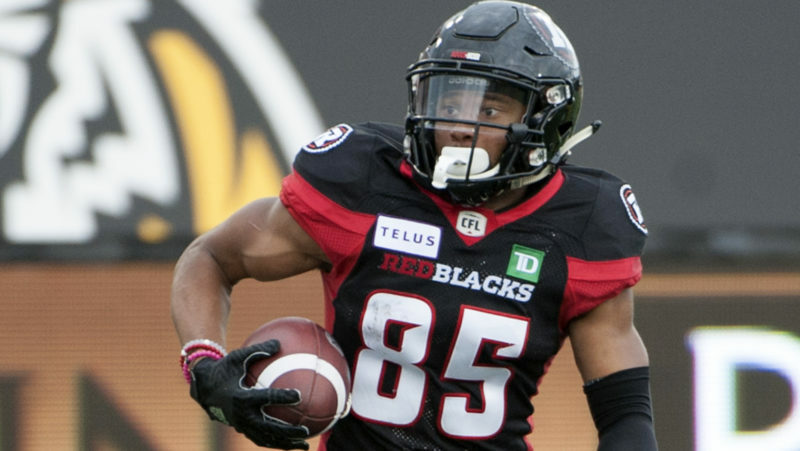 While the REDBLACKS’ passing offence makes headlines, Powell is an integral part of a balanced offence in the nation’s capital. 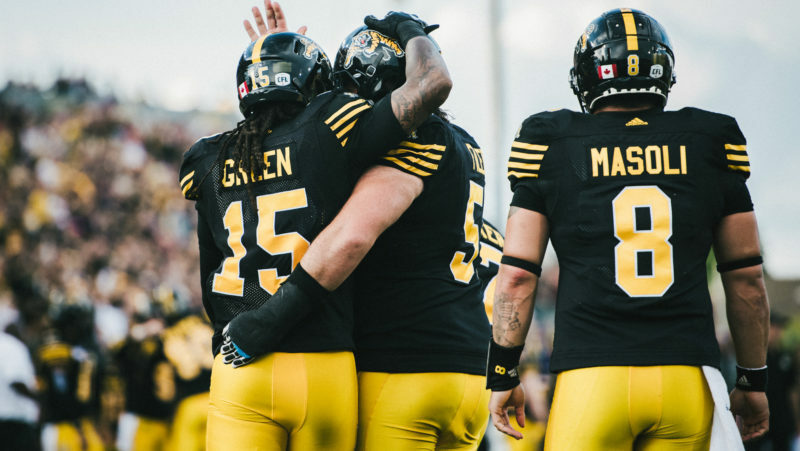 Alex Green has been nearly as impressive for the Ticats, finding the end zone 13 times in the first 15 games of his career including the post-season. It’s close, but we have to go with Powell. A full-strength Ticats receiving corps might have made this interesting, but season-ending injuries to Brandon Banks, Chris Williams and Jalen Saunders have put a damper on things. The emergence of Bralon Addison for the Ticats is big, but you can’t argue against Ottawa’s trio of Diontae Spencer, Greg Ellingsonand Brad Sinopoli, the latter having set the single-season receptions record for a Canadian receiver. The Ticats’ O-line powered the league’s most productive offence, led by a dominant interior that includes nationals Brandon Revenberg and Mike Filer. Ryker Mathews has taken another step forward at tackle, while Kelvin Palmer hasn’t looked out of place when pushed into action. The REDBLACKS have the best Canadian depth in the league up front, but the numbers suggest the Ticats have the edge. Neither of these defensive lines has been able to generate much pressure, with the REDBLACKS and Ticats ranking seventh and eighth respectively in sacks while putting up league average numbers on the ground. 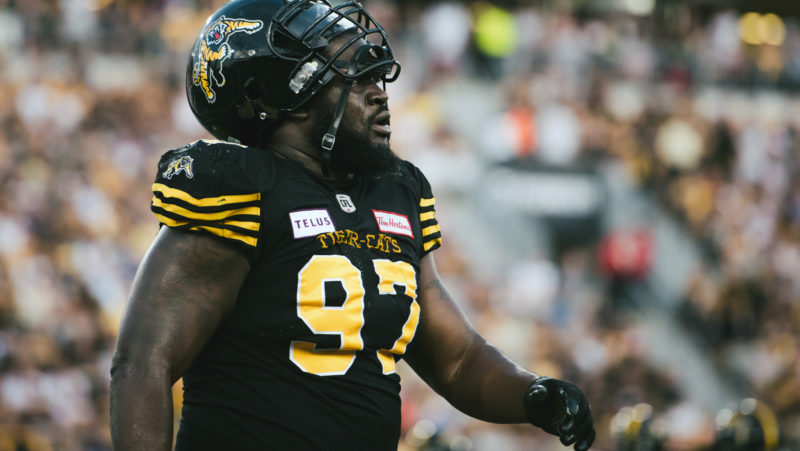 Ted Laurent has enjoyed a bounce back season for the Ticats, while in the nation’s capital AC Leonard and Jonathan Newsome haven’t put up the numbers we expected. After a quiet season by his standards, Simoni Lawrence made his presence known in the Ticats’ playoff win on Sunday, chasing Travis Lulay all day and almost scoring on a fumble recovery. Larry Dean is the East Division’s Most Outstanding Defensive Player and Don Unamba has become a star at SAM, rounding out a solid group. The REDBLACKS’ linebackers, though relatively unknown, have also had a strong season, but Hamilton gets the nod. Rico Murray has had a big first season in the nation’s capital, with rookie Anthony Cioffi breaking out and Jonathan Rosetaking another step forward at corner. The Ticats boast the CFL’s third-ranked passing defence, but the REDBLACKS have taken the ball away more, ranking third in the league with 41 takeaways. Jumal Rolle‘s injury and Richard Leonard‘s recent struggles in Hamilton give Ottawa the advantage. 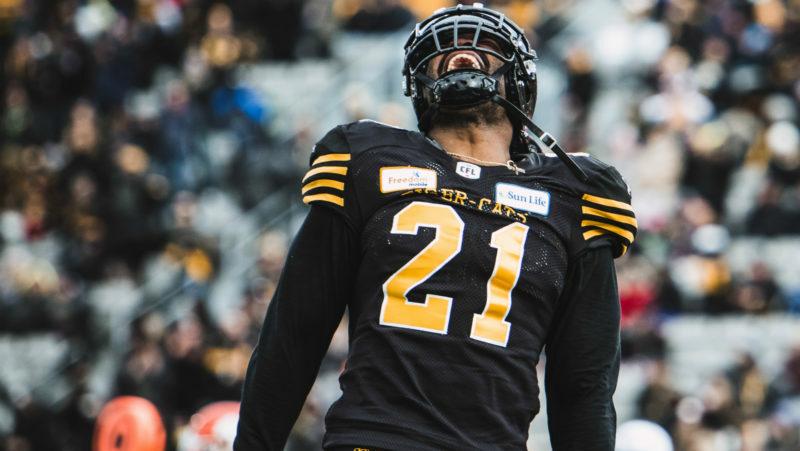 Frankie Williams has had a nice season returning kicks for the Ticats, but few can compare to the diminutive but electrifying Diontae Spencer. 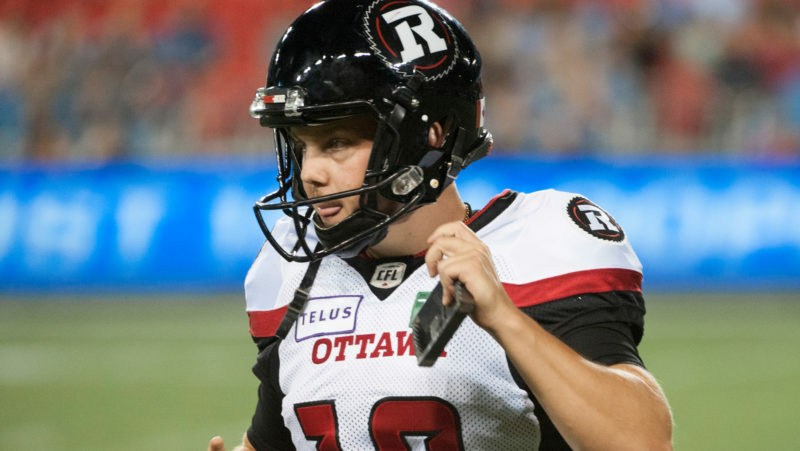 Spencer is a threat to score every time he touches the ball, making the REDBLACKS a team to worry about in all three phases of the game. 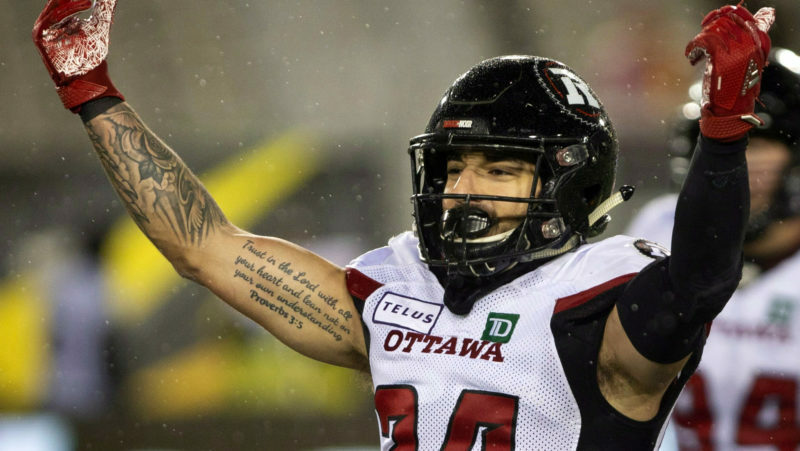 Spencer is the CFL’s leader with 2,704 combined yards. 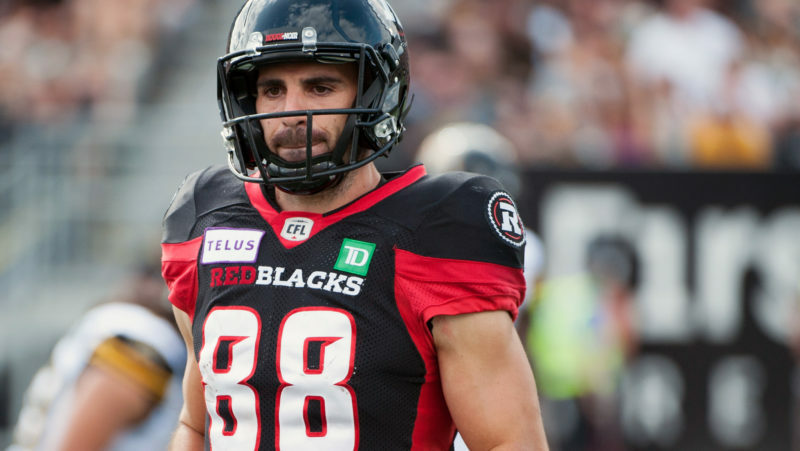 The REDBLACKS have one of the CFL’s best tandems in kicker Lewis Ward and punter Richie Leone, with Ward putting up historic numbers in his first year in the league. The nominee for both top rookie and special teams player made 51 of 52 field goal attempts, including 16 from beyond the 40. Lirim Hajrullahuis solid for the Ticats, though he’s missed five extra points.